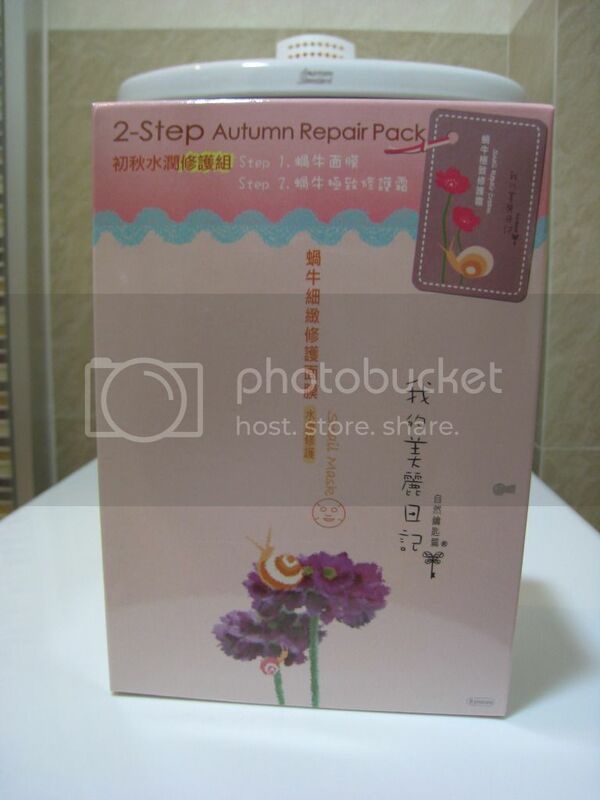 My Beauty Diary 2 Step Autumn Repair Pack - Snail Mask includes a mask and a cream. It contains mucus secreted by snails. Rich in protein, the ingredient effectively increases skin’s elasticity, and strengthen moisture-locking and repairing effects. 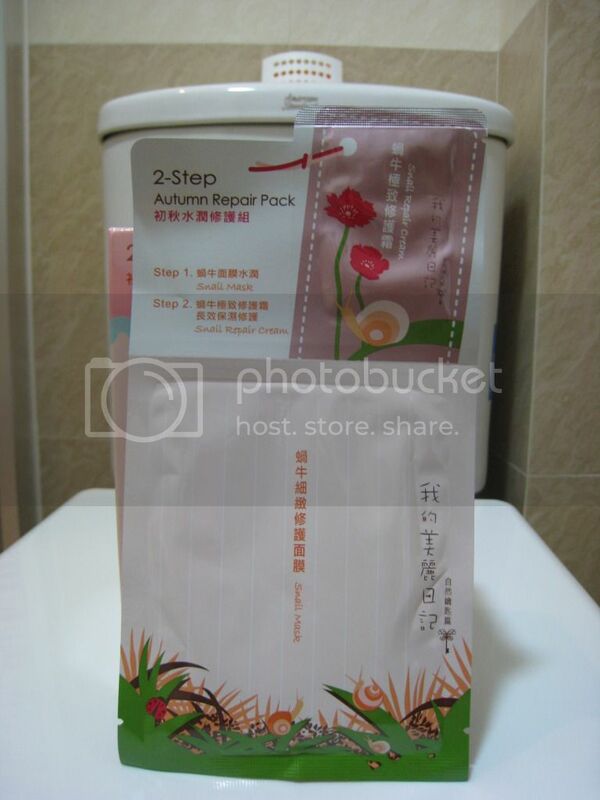 My Beauty Diary 2 Step Autumn Repair Pack is highly moisturizing and nourishing. Wonderfully moisturized, deeply nourished and plumped, skin emerges infinitely regenerated. The cream has a fresh and lightweight texture which glides smoothly on your face, pampering each and every inch of your face. Applying it both day and night and it will nourish and moisturize your skin around the clock. Your skin can be renewed, refined, resilient and radiant upon using it. After facial cleansing, attach on face and leave on for 20-30 mins. Remove and lightly pat down any remaining essence. Rich in mucus secreted by snails , the ingredient effectively increases skin’s elasticity, and strengthen moisture-locking and repairing effects. If you have been following my block you must have realize that I'm not a huge fan of the "My Beauty Diary" sheet masks, but since I'm such a beauty junkie, I had to get the new 2-step pack and try it out for myself. I've only use it once and am already in love with it, I'm not sure if is the mask or the cream, but I've used both products, and my skin was immediately softer, brighter and moist. I've liked it so much that I've already picked up a box of the continent 2 step mask and will be reviewing about them soon.